May 19, 2012 — Getachew Assefa, the head of Ethiopian National Intelligence and Security Service (NISS), is said to have tested positive for HIV, according to an unnamed official with ties to the elusive and secretive agency. After experiencing unusual flu-like illness that lasted for several weeks, the chief officer sought medical attention where he later discovered he was HIV positive. Sources close to him say he plans on visiting gulf states to get proper medical attention. Described as a 'hawkish' character by the former US Ambassador to Ethiopia, the 53-year-old security officer is known to frequent brothels and is alleged to have contracted the virus from a prostitute working at the Sheraton Hotel in Addis Ababa. 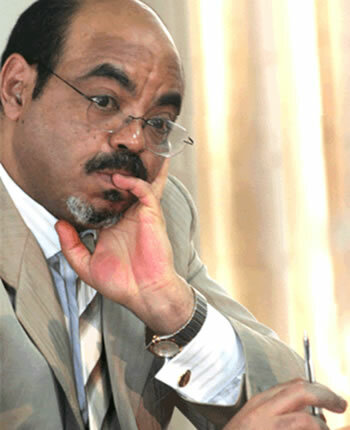 Since gaining his position as the head of NISS in 2001, Assefa has accumulated a long-list of human rights abuses, including being the mastermind behind the massacres of over 400 civilians in the Gambela region and ordering the deaths of 193 civilians during the 2005 heavily disputed elections. Dubbed as the 'Bangkok of Africa' by seasoned tourists, Addis Ababa continues to be a mecca for prostitution. An estimated one in every twelve women living in the capital works as a prostitute and nearly a quarter of them are said to carry the HIV virus.